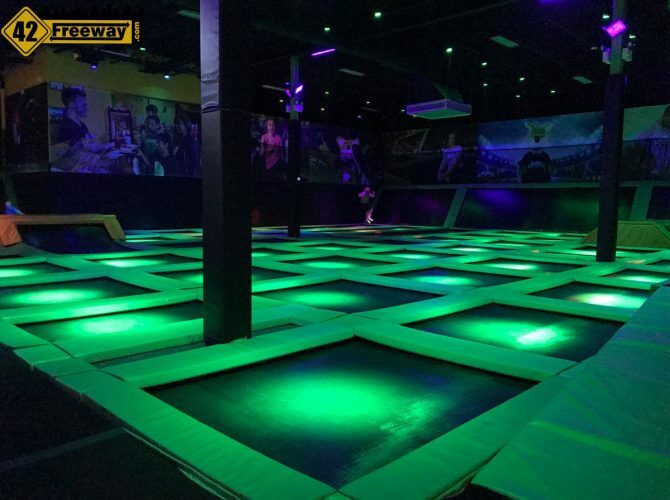 42Freeway published a story almost exactly a year ago about the Launch trampoline park coming to Deptford, but I never got around to doing a post about it opening up this year. So on a quiet Monday night I stopped in to check the place out. Oh yes its a trampoline park, but there is so much more for the kids! This place is HUGE and offers a variety of fun activities. Yes there is a very large main trampoline area, but there are also separate areas for basketball, dodgeball and other games. There is an “American Ninja” style area where the soft landing is foam blocks instead of water. Video games are offered along the main walkway. There is a tube style climbing play area, and they are also preparing a rock climbing experience and a 3D virtual rollercoaster. They even have a snack bar! When my wife and I walked in, they were just starting their darkened neon session time… was really cool to see the place glow! If you’ve tried the other trampoline parks in the area, trust me… this one is worth a visit. They have party rooms available, and up on the second floor is an adult lounge area platform with televisions and a view of the whole facility. As was widely reported, Launch is owned by former NFL Eagle player Jason Avant, and I was happily surprised when I stopped in and asked to see the manager… that Jason himself came out to meet me. He’s more than just an owner, he seems to be taking a very active role in making his new venture a success. Apparently we weren’t the only adults asking “Can we rent this place out after hours?”. Ha! Unfortunately no, that isn’t in the plans. There is a lot more to the place. Check out the photos below! Click on an image to bring up the larger slideshow view. As I said, this was a late Monday night so the facility was a little quieter than normal. Dunlop’s Bar and Grill at Hollydell Sewell Shoots for Mid-January Open! Exclusive Photos! 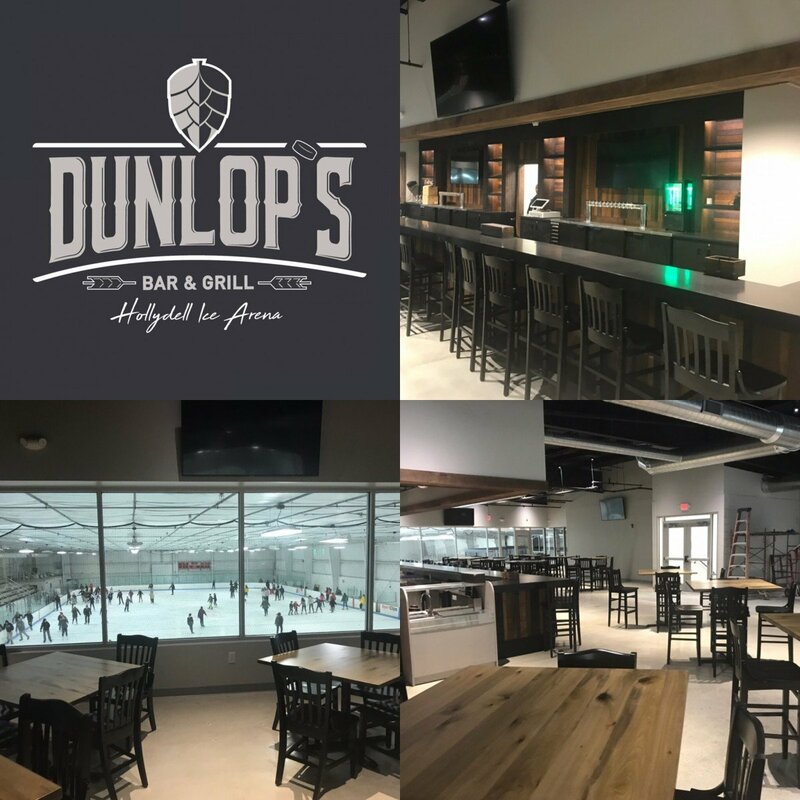 Dunlop's Bar and Grill is set to open mid-January at Hollydell Ice Rinks in Sewell New Jersey! A new third 2/3 rink is ready, and extensive locker room expansion is underway! Read on for more and an exclusive "inside" photo review! Bye Bye Ballys Deptford? New Development Proposed. It was one of the first large full health clubs in the area but the last few years it has sat quietly deserted, almost forgotten... on a very busy core retail road. 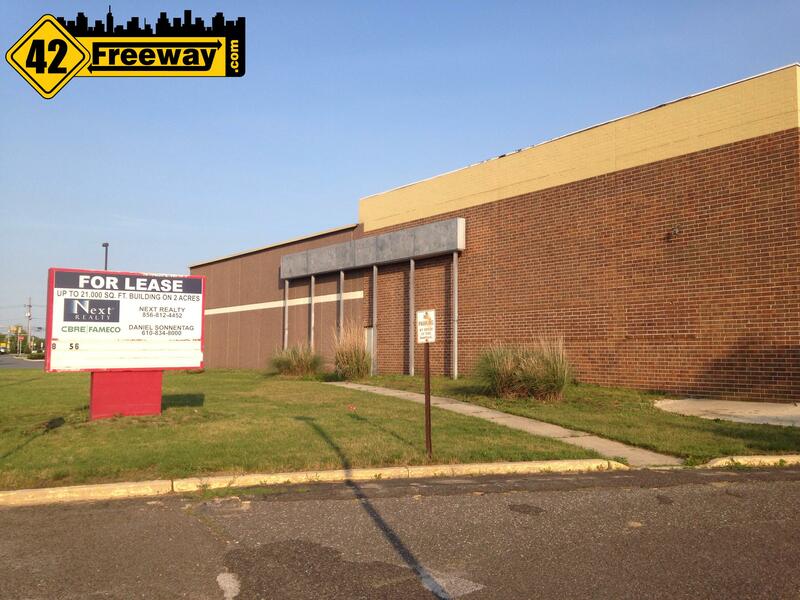 And if recent proposed plans come together, the 2 acre property will come to life again... but not the building. 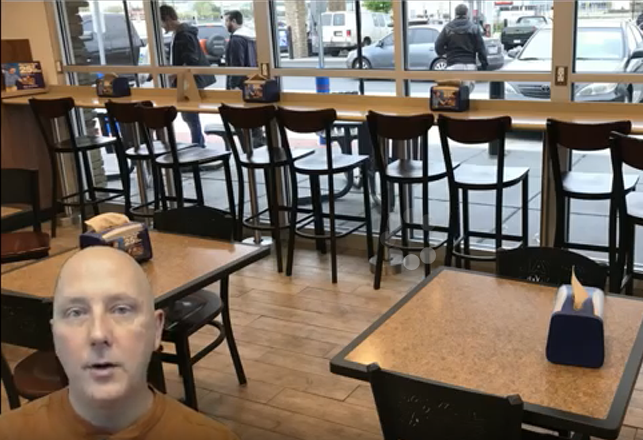 Video review of Royal Farms convenience stores, which are being developed in several South Jersey communities. They are similar to Super Wawas... but are they really? Youtube link in article. previous post: Wild Wing Cafe Barrington Preview! Opens June 2nd. Hiring Now!